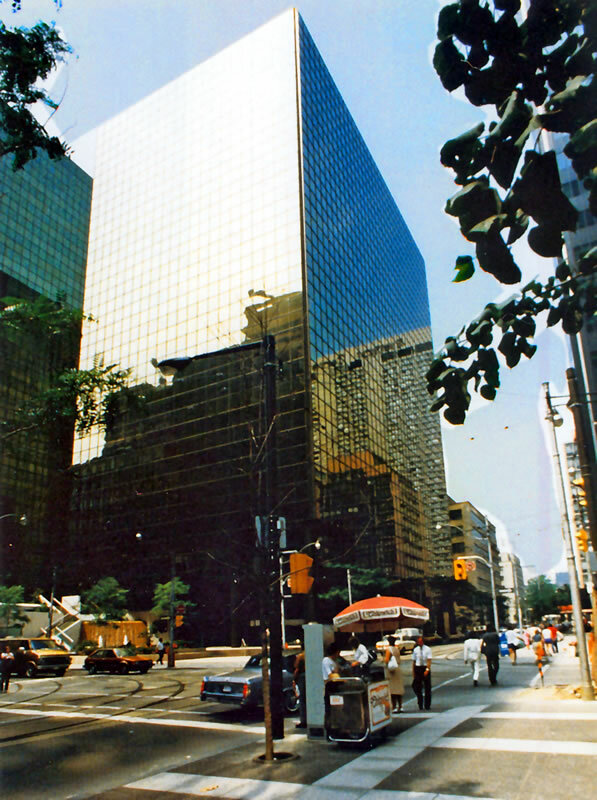 This reinforced concrete office block, located at the north-west corner of York and Adelaide Streets was one of the first office buildings in downtown Toronto to employ flat slabs with modified drop panels, at the heads of the columns, as developed by this office in the mid-seventies. This office block was constructed as the completing element of the development which includes the Hilton hotel, and another office building, over a three storey subgrade parking garage, which was integrated with the existing parking garage, below the adjacent office building. The building is connected by a tunnel below York Street to Toronto’s underground network, which links to the Yonge Street subway. The glass and metal curtaIn wall gives the building its distinctive sophisticated appearance.